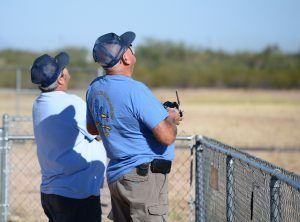 That’s what the Southern Arizona Modelers R/C Flying Club is all about! With a new freshly paved 50′ X 400′ asphalt runway, excellent flying conditions year-round, and convenient proximity to metropolitan Tucson via I-10, SAM is one of the area’s most established and fun clubs for flying radio-controlled (R/C) model aircraft! The flying field is located on the southeast side of town, adjacent to the Pima County Fairgrounds and Tucson Raceway park. Saturdays and Sundays are usually the busiest flying days, so come out and join us! Come on out and see the new runway and other field improvements. See lots of current photos here.